WTF Are You Reading? 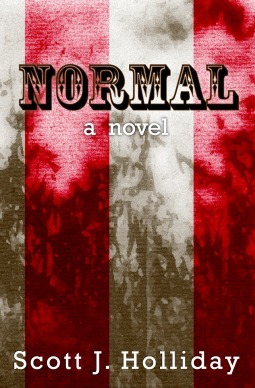 : Adult Fiction Review: This Is a Book That Is So Much More Than "Normal"
Adult Fiction Review: This Is a Book That Is So Much More Than "Normal"
South Carolina, 1879. With a drunken wife and an overbearing father-in-law, prison guard Paul Constantine leads an unfulfilling life. But Paul's world is shattered when Roy Pellerin — a childhood friend and circus performer born with skin like a snake — escapes Paul's prison. Now Paul must track Roy across the country facing thieves and murderers, his own demons, and the struggle between justice and forgiveness. This book is a rare gem that reveals new and beautiful facets as the story progresses. Roy Pellerin is so much more than his scaly skin and weeping eyes could ever convey. As society has proven time and again however, it's all about appearances. When Roy is labeled a killer for his part in the death of a fellow sideshow performer and sentenced without benefit of judge or jury to "the hole" in Redmine prison; he crosses paths with the one man who knows him as the person he is. Paul is a man trapped. Forced to live within the confines of his job as a prison guard where he is forced to witness the debasement of men on a daily basis; and his overbearing, drunkard wife who treats him as little more than an animal. This is the story of two men: one a freak caged in bars, the other by life. Only the fates know that a chance meeting, a remembered friendship, and a daring escape will give each of these men the freedom and self acceptance that they seek. This story is a hard one to read due to all of the injustices suffered by Roy. The fact that he us able to not only survive, bu thrive in the face of all of the loss, ridicule, and cruelty that he suffers throughout his life is a testament to the resiliency of the human spirit. It is very easy, as a reader to look beyond the Roy's outward appearance and see the truly remarkable being inside. Paul is a man that is hiding, afraid to be who he really is. Cowed by life and hating himself. It is not until he sees Roy, in chains but strong, in prison but still free in spirit, and sentenced to death but refusing to die; that he begins to feel the stirring of the free person he once was. Roys' escape takes the men on a journey full of sights, sounds, and people that prove both beautiful and horrifying. One toward the truth and a righted wrong. The other toward his future. This is a book that all should read. A story that encourages one to truly seize the day, love who you love, and not be afraid to be who you are.